All of a sudden thousands of Muslim students preparing for medical entrance examination suffered a jolt when they found that Urdu would no longer be medium of exam in the National Eligibility Entrance Test [NEET] which is held for admission into MBBS. There are thousands of Urdu medium schools and colleges in Maharashtra apart from large number of Urdu medium students aspiring for the MBBS-BDS and allied medical course test from Karnataka, Jammu & Kashmir, Andhra Pradesh et al. With their future in jeopardy and national media or political leadership showing no interest [not even aware of the extent of the problem], the Ulema who are seen as 'regressive', raised the issue. A petition was filed in the Supreme Court in this regard. The Supreme Court subsequently issued notice to Ministry of Human Resources Development [MHRD], CBSE and Medical Council of India [MCI] on this issue. While Marathi medium students in junior colleges aspiring for exam is barely 350, Urdu students in Maharashtra's junior colleges number over 7,500. Still, while Marathi remained a medium, Urdu was excluded arbitrarily. To understand the gravity of the situation and a sudden discriminatory order that affects democratic rights as well as causes children to suffer, one expects the so-called Muslim leaders viz. political leadership to move forward. But nothing of that sort happened. The MCI rules clearly state that they couldn't disturb state policies as per which many regional languages other than English and Hindi are used as medium in entrance exam. When action had to be taken fast, once again Jamiat-i-Ulama realised the seriousness of the situation. There are repeated examples. Can one forget the failure of Muslim politicians to address defaming of towns like Azamgarh turned Aatankgarh? It was then that the Ulema had boarded an entire train and had gone to Hyderabad to hold Anti-Terrorism Conference, denouncing the terrorists and making clear their stand. Nobody had put onus on them. They did on their own. Such conferences were held across country. The Ulema are also involved in charity and welfare. They are also fighting dozens of cases in which innocent Muslim youths were falsely implicated. The legal aid is being provided to these detainees about whom none among our political leadership paid attention. They were languishing in jails for years. In many cases people couldn't come out of jail where they are lodged for minor offences just because they didn't have basic money to hire lawyer or to pay for the bail. Routinely, in cases of police excesses during riots or against individuals or even negative portrayal of Muslims, Ulema approach courts. Its satisfying to see institutional clergy being sensitive to the community and for its rights. 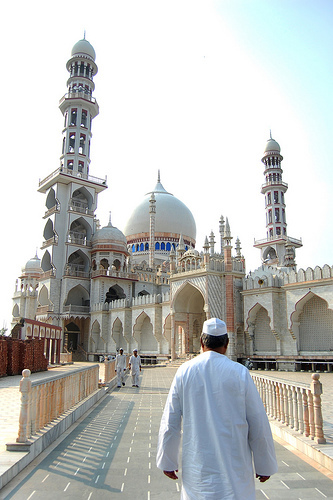 The Indian Ulema [also Ulama] are secular to the hilt and most of them vouch for communal harmony and composite culture. Perennially, it is the Ulema who keep approaching Prime Minister or Home Minister or the Minister for Minorities' Welfare, taking along delegations, speaking over various issues that keep coming up during the course of a year, seeking redressal of the issues. The clergy also has the conviction to take politicians head-on. The recent example is that of Shia cleric Kalb-e-Sadiq who refused to be felicitated from UP CM Akhilesh Yadav, just two days back. Sadiq was upset because he felt SP hadn't fulfilled its promises made to Muslims. In contrast, the 'elite' would be too happy to shake hand with a minister, and would come back with 'assurances', rather than a hard bargain. It is really a piquant situation. Now there is a strong Muslim middle-class in this country. There are almost 60 minority Members of Parliament (MPs) in both the houses viz. Lok Sabha and Rajya Sabha but they fail to even take up these issues. One doesn't expect them to represent just Muslims but once in a while, they should take stand in important matters. The educated elite is simply out of touch. For them, these are issues that often reach them through media and they simply express their disgust and move ahead. No wonder, the issues that don't get highlighted in mainstream English media, is reported in Urdu papers and then Ulema respond to them. So the problem remains same after decades. Our elected representatives or those amongst us who have prospered fail to even understand, let alone take action, the real issues. Hence, the clergy is filling this void throughout the country. That Taj Mahal was robbed and precious valuables were taken away is well-known but not many know how the monument got saved by a whisker in the eighteenth century. Close to Agra, the Sikandra tomb was burnt down. Even today you can see signs of fire on the walls of the tomb of Akbar, though Lord Curzon had got it repaired to some extent. Such was the Jat fury that even the mighty Akbar’s tomb was dug and former emperor’s bones were brought out and set afire. See Link. Taj Mahal was lucky that it was not harmed as much, though it was robbed* and valuables extracted [and taken away]. The Taj was stuffed with hay [bhusa] See link. Under Raja Ram, the Jats had become a major force. Manucci wrote how Jat soldiers desecrated the grave, dug out the bones of emperor and set them afire to avenge the death of their past chieftain Gokala Jat. The raids or the 'chhapa-maar hamla' tactics were effective and the weak Mughal forces here failed to stop the onslaught. 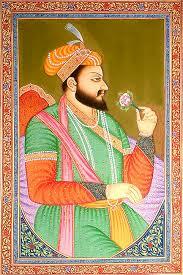 It all happened the period after Mughal empire had begun weakening post the death of Aurangzeb in 1707. The Jats and Marathas were now the new powers of the land. In later years [after Raja Ram], Suraj Mal emerged as one of the most important figures of the era. The Jats are a martial race. 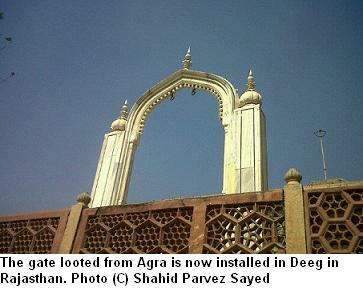 The valuables in Deeg, the capital of Suraj Mal, are still shown proudly. There is no attempt to change history either. With the decline of Mughal power, the Jats made repeated attacks on Agra. They often plundered and looted villages here. Later, the Jat army attacked Agra and even managed to capture the fort. This happened after 1761. Agra was now in the hands of Suraj Mal. It was then that they robbed valuables from the Taj Mahal also. The ornaments looted from here were taken to Dig, the Jat capital, where you still see them in Jal Mahal, on proud display. ..the Mughal empire slid into steady decline. North India, and with it, Agra, was plunged into a continued insecurity as ambitious marauders, lured by the imperial treasuries held at the Fort, strove to establish control. 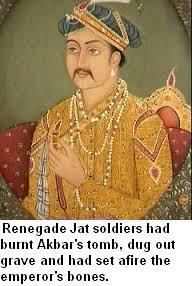 Finally, Suraj Mal, legendary leader of the martial Jats from nearby Bharatpur attacked Agra. Jat soldiers camped at the Taj Mahal, lit fires inside the mausoleum to keep themselves warm and made off with its silver gates and finest gems…. Umpteen writers have mentioned it at length. But K Natwar Singh only briefly mentioned the incident about ‘Rajpurohit’s order in his book on Maharaja Suraj Mal’. But old books and even Urdu texts mention that it was Suraj Mal’s decision that saved Taj.But that’s just one aspect of the story. Those were turbulent times indeed and words like ‘Jaat-gardi’ became part of language and are now part of history books. Maharaja Suraj Mal was a man of strong character. Those who called him 'Suraj Mal Jat’ do injustice to it. The story which is often forgotten is that after hay was stuffed into Taj Mahal, a high priest asked the king to set it afire or turn the building into something else. But Maharaja Suraj Mal refused. He admired the beauty of the Taj. Yes, ornaments were taken away but Taj Mahal was saved. The toughest time for the monument was during the era from early 18th century [1707 onwards] to mid-19th century [till decades after 1857]. Much later, there was British plan [Bentick’s] to break the marble monument and auction it [all its gems and riches]. However, the tomb has survived. The risk to Taj is due to depleting water levels of Yamuna river and environmental factors, particularly, the pollution level in Agra. Fortunately, there are steps being taken in this direction. Even a dam is likely to be built to keep water in the Yamuna, so as to keep its special foundation [that will remain intact as long as there is water in the river] firm, for centuries to come. This was the sixth part of the travelogue which focused on how Taj got saved by a whisker. Frankly, I had never seen this view of Taj Mahal in any photograph. No one had told me about the view from across the Jamuna. While the normal visitor goes to Taj Mahal and returns after seeing the breathtaking [but basic] view, he doesn’t often realize that there is another site from where you can see Taj in its complete glory—on a vast canvas, without any interruption or building in between. In fact, after getting the ticket, a visitor has to first go through the gate where you are frisked, and then walk straight until you get past the main entrance gate, and only then you see the mausoleum directly. As a result, you don’t have the grand view of the expanse of the entire Taj Mahal’s structure. On the other hand, from Mahtab Bagh, you can see the marble monument and its adjoining symmetric red stone structures, without any obstruction. It is really a breathtaking view. We may also have returned like numerous others from Agra after a normal visit. Fortunately, when we visited Taj Mahal, we noticed movement of people on the other side of the river. We were told that some people visit there to take a photograph. Sorry, what? The guide didn’t tell us anymore. But next day we did enquire a bit. Also, a taxi-wala sensed our extra interest in the monument. ‘Aap Mehtab Bagh nahi chalenge’ [Won’t you visit Mehtab Bagh], he asked in Urdu. Soon we were on way to the other side of the river. We entered the old city, crossed the bridge, and in no time, reached the vast garden. Though it was noon, still, the weather wasn’t as harsh. [Do visit early in the morning if its summer]. But once inside, we saw the most spectacular sight. This view we hadn’t seen before and it was indescribable feeling. Our Agra visit was now complete. We felt that now we had seen the Taj. The only wish was to see it in moonlight. So what is Mehtab Bagh? Babar had come to Agra, soon after his victory in the battle of Panipat in 1526. To him, the weather in Agra was extremely hot and harsh. He recalled the greenery, the cascades and fountains. On lines of the gardens in Samarkand, he got similar gardens [baagh] laid out on the Eastern side of Jamuna. Many such gardens came into existence here near the Agra Fort and one of them was the Bagh-i-Hasht Bihisht. The area has a mosque from the era which has Humayun’s inscription and it survives to this day. It was here that Babar's son Humayun built his observatory, which also exists and is now known as 'Gyaarah Seedhi' or Eleven Stairs. So the ruins of this 'baagh' existed for long. Akbar had later given the large site on both sides of Joon [now Jamuna] to Raja Man Singh. Shah Jehan had later bought the land here from Man Singh's descendant Raja Jai Singh. Four havelis were given to him and in lieu of that the land was obtained. Almost at the same site where Bagh-i-Hasht Bihisht once existed, the Mehtab Bagh or Chandni Bagh was now built. Archaeological Survey of India (ASI) board here says that the Mahtab Bagh is laid out in perfect symmetry and alignment with the Taj Mahal. There were barahdaris [open, arcaded pavilions] and 'banglas' [pavilions] interconnected with corridors, made of sandstone, in this vast garden. They later fell. There were 25 fountains here. The large pond here sent water to these fountains through pipes. The waterworks were amazing but were destroyed over the years. It was built as part of the original plan of the entire mausoleum complex. Perhaps, it was named Mehtab Bagh [Mehtab in Urdu means moon] because it is the ideal place to see Taj in moonlight. The Chini-khana had candles and flowers to create a magical environment. Over the years the structure crumbled. The flood and the sand that came with the flow of water in Jamuna [Yamuna] covered this site. People forgot this place. Over the last couple of years, ASI has been trying really hard to restore it. The garden is looked after well. It has 8,000 trees and plants now. There are policemen keeping vigil and the view of Taj from here is simply amazing. Mumtaz Mahal died in 1631, when Shah Jehan was camping in Burhanpur. She was buried in Zainabad on the banks of river Tapti in today's Burhanpur district in Madhya Pradesh. After crushing the opponent, Shah Jahan got the body interred and it was later buried in Taj Mahal in Agra. There is a story often heard that Shah Jehan planned to build an exactly similar black Taj Mahal. There is no basis to this story. That canards and conspiracy theories are enjoyed and believed by a large setion [because they want to believe something astounding] is well known. It's an interesting thought. In fact, imaginary photographs or models of black Taj on the other side of Yamuna river, as created by artists or through photo editing softwares, looks scary. When the forgotten Mahtab Bagh [there will be a separate post in the next part on it], was redisovered and people began visiting it, the remnants of the structure gave people a hint that perhaps it was the foundation of the black mausoleum. The excavation at the site of Mahtab Bagh also showed no such plan or foundation. Anyway, Shah Jahan had almost emptied his treasury in building the Taj Mahal. There was no further plan. 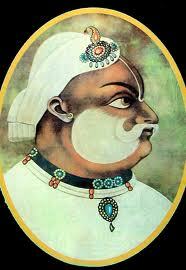 He spent last years of his life, imprisoned in the Red Fort, after Aurangzeb acquired the throne. The story of the second Taj is a mere fantasy. Isn't it now among the longest running travel series account that centres on Taj Mahal, at least, among online travelogues!